Georgia has had an impressive career progression. Her ability to learn quickly, lead and motivate teams has led her to running all soft and hard services in a large shopping centre with140 tenants and footfall in excess of 20m a year, by the age of 28. Georgia started her career aged 16 working in retail. With French Connection she was quickly promoted to supervisor and while dealing with security issues and working alongside the police Georgia realised she was especially interested in security operations. In her own time, she passed her security CCTV and Door licences and aged 21 was successful in her appointment to CCTV controller at The Glades. During 18 months as a controller, Georgia demonstrated her ability to lead large teams with her outstanding communication skills. This earnt her a promotion to security supervisor by the age of 22. Aged 23 following a brief time as cleaning manager learning a new side of the business, Georgia then took on all mall security, managing a team of 25 guards. Her success in this role meant that Georgia’s remit also encompassed the CCTV control room and car parks – parking being an important source of income for the centre. 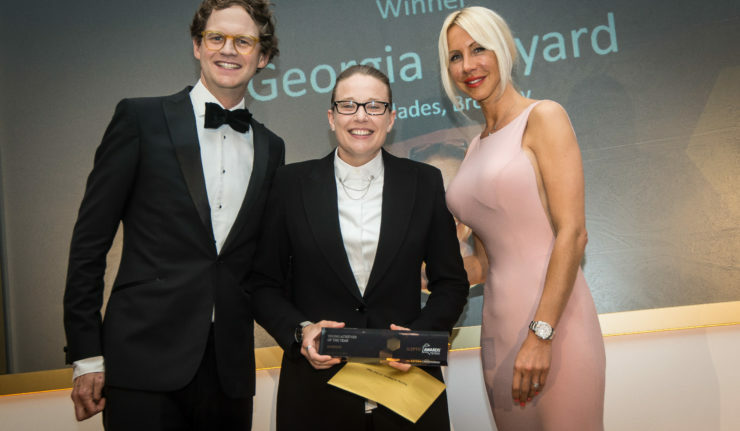 Most recently Georgia was successfully promoted to facilities manager leading all hard and soft services, taking her team size to 60+ and budgets of over £3m making her the most senior manager in the Interserve centre team. This has been challenging at times but Georgia applied herself to learn a whole new skill set on the technical side of the business, and proven in recent technical audits with dramatically improved results in 2018 vs 2017. Her infectious energy, hard work and natural ability with people has marked out Georgia as a future centre manager.